*This could potentially be quite spicy for someone who is not used to spice. If you don’t handle spice well at all, you could eliminate it completely. Alternatively, you might try only adding half or three quarters of the pepper according to your taste. 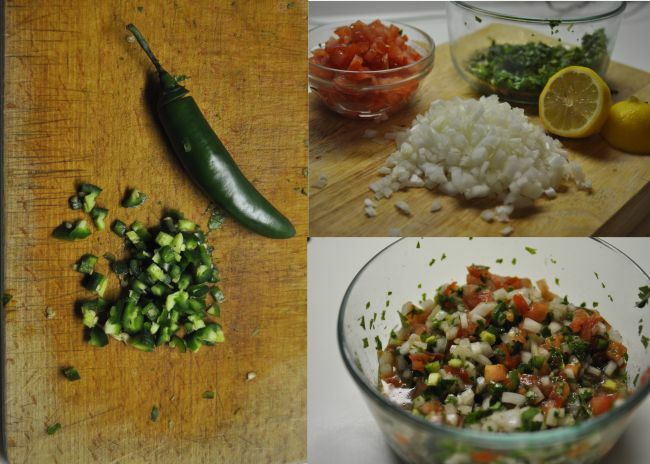 Finely chop tomato, onion, Serrano pepper, garlic, and cilantro and mix them together in a bowl. Add the lime juice, salt, and pepper.